Built in 1955 by Gerald and Michael Waldbillig. 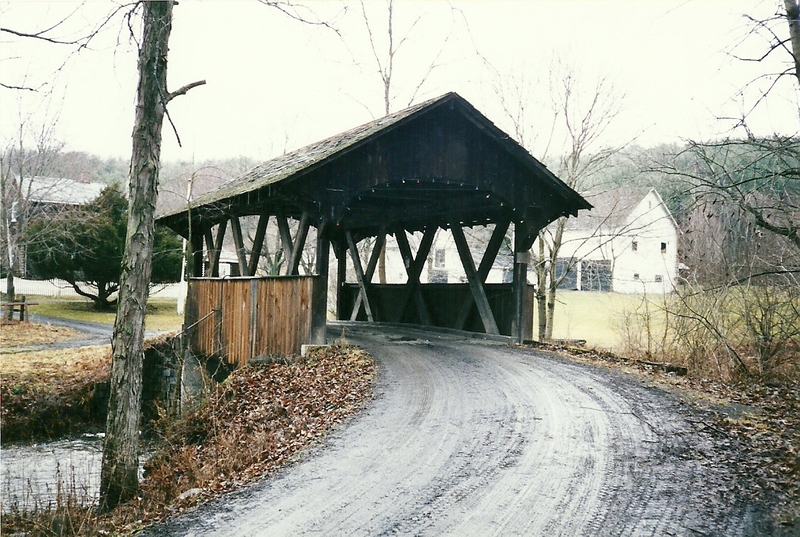 A single span of 30′ crossing Vly Creek. 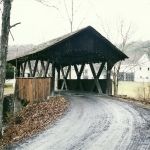 Displays a Warren style truss. Located .7 mile north of Jct. NY 85A (State Farm Rd. ), then 1.2 miles right on Normanskill Rd., (CR 203) and then .3 miles right. 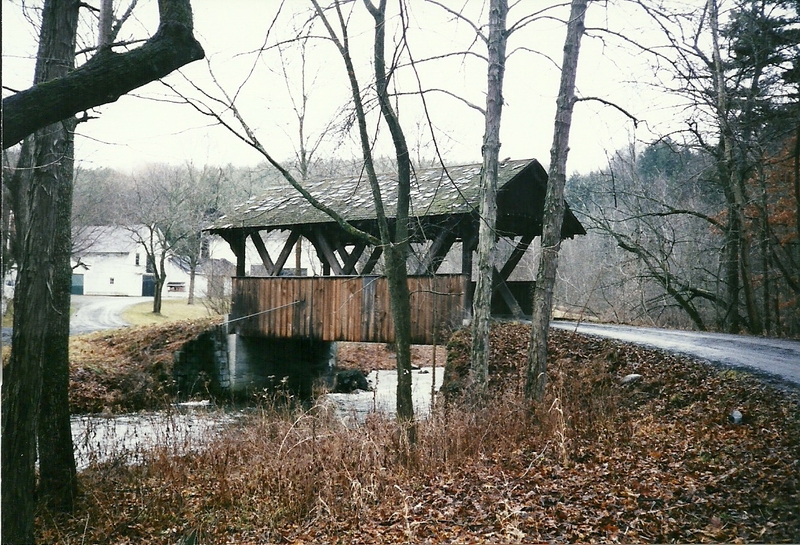 The Waldbillig Covered Bridge is the only covered bridge still standing in Albany County and is maintained by the owner and carries private traffic across Vly Creek. The driveway to the owner’s home is very scenic and you cross the bridge to get to his farm. However, you can also pull off the driveway before you cross the bridge and get some lovely photos, depending on the time of day and season you visit the bridge. 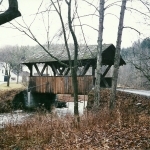 Since it was built in 1955, other than the actual statistics, there is not a lot of history to share on the Waldbillig Covered Bridge, but it is well worth a trip to visit it.